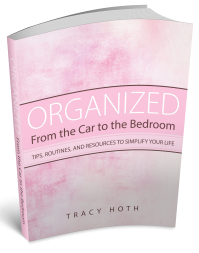 Although I usually post on organizing I wanted to share a personal story. 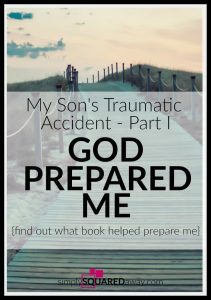 It’s the story of my 15-year-old son’s traumatic accident where he suffered a C5-C6 spinal cord injury and became a quadriplegic. This was the most challenging thing our family has ever had to face. So much was taken from him the night of the accident but, focusing on the positive, he has been blessed with significant recovery. We had the support of our families, the community, our church, and people we met along the way. Our family saw good we never would have known. God walked with us through the good and bad and we grew individually and as a family. I’m breaking the story into 4 parts. Life has always been fairly easy. Aside from grandparents, I haven’t had to face the death of a loved one. My kids are healthy. We haven’t faced disease or illness in our family. My husband has never lost his job. We’ve moved once because we chose to and it was just across town. We’ve always had an average income but we are both frugal and we’ve stayed out of debt. We have amazing families that all get along. My husband and I started attending our church together once we got engaged in 1994. We were married in 1995 and a few years later we started serving in the youth group ministry as adult leaders. 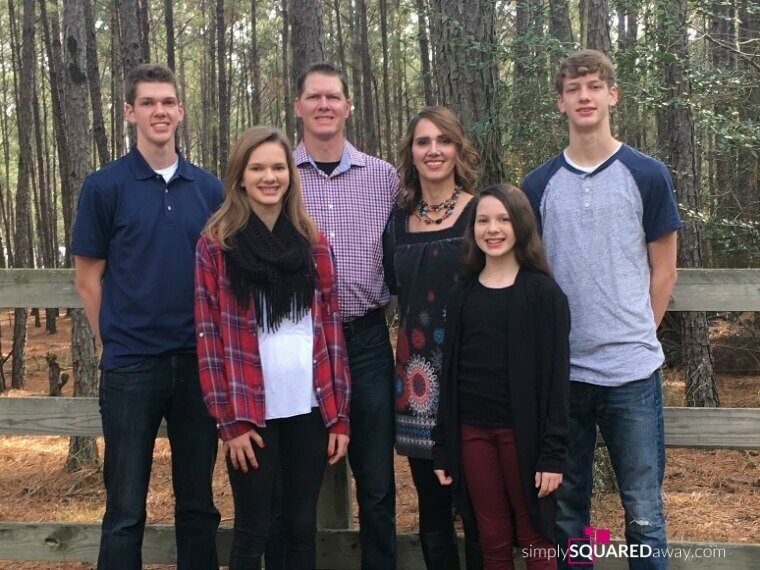 We served in the youth group until 2004 after we had our 4th child. 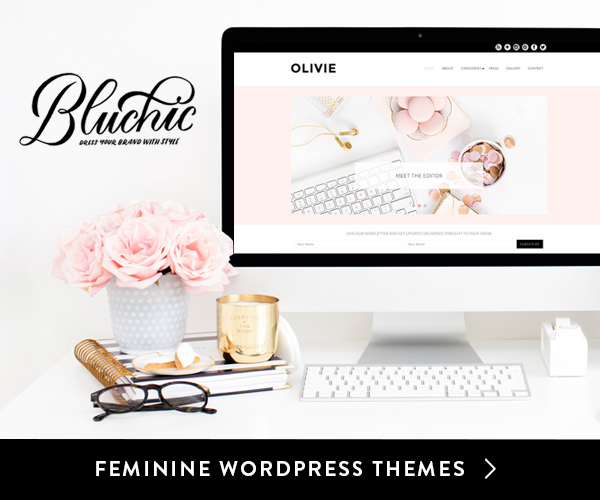 Through the years, I attended women’s ministry events and bible studies at our church, led small group bible studies, and served on the women’s ministry planning team. Chad and I have also been involved in the AWANA ministry serving in a couple different age groups. Our four kids grew up in our church. I loved my life. It was good. I’m not sure when it started but one day I realized I was drifting. Not away from my faith but I wasn’t passionate anymore. I was cynical. ‘Pray and read your Bible’ were the answers to everything. And I was the worst at praying and reading my Bible. I was sick of that answer. I had no desire. It just seemed like it didn’t make a difference. Life was fine. I was busy raising a family, organizing and serving. I was not close to the Lord and rarely thought about praying or spending time with Him. And I always felt terrible about it. 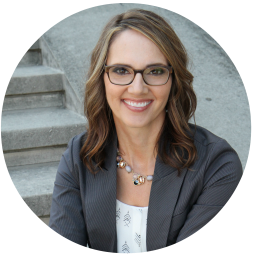 I started organizing clients while my children were at school so I quit attending a weekly Bible study. I am terrible at routines and had never developed the discipline to keep up a consistent quiet time. But, deep down I always wanted to be closer to the Lord. One day my daughter and I were organizing the book shelf trying to make room as we finished a part of our basement. 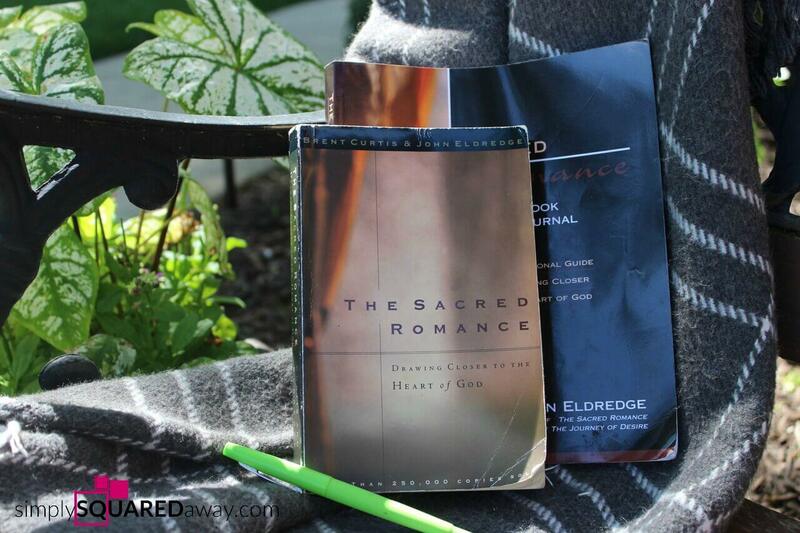 She held up every book and asked me, “Keep or Donate?” We came across one book called The Sacred Romance: Drawing Closer to the Heart of God by John Eldredge and Brent Curtis. Inside the cover, I saw that my husband’s friend had given it to him. I don’t remember ever seeing this book before. Because of my strong desire to read it I set it aside. I am so thankful that God continues to pursue me. Even when I don’t seek Him. I feel like that day He reached His hand out and gave me that book, gently saying, “I love you more than you know (or feel) and I want you to know Me.” Thinking back, it was a precious moment in my life. Amid my cynicism and avoidance of Christian jargon and typical church stuff, HE pursued me. HE was drawing me to Himself. 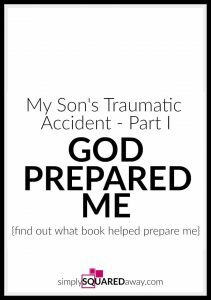 HE was preparing me. I liked this book so much I asked a few friends if they wanted to read it with me. So, we started through it together. I have always been so hard on myself, never feeling like I do enough. I want to work out more, eat better, clean more routinely, pray more, serve more, be more efficient, be a better wife and mother… Rarely do I feel enough. It’s not that I feel worthless, it’s more about not being disciplined. I could be more successful in these areas of my life if I would just be more disciplined. Never enough and it’s exhausting. Reading this helped me give all of it to the Lord. I wanted to read another book of by the same author. After an organizing client one day, I drove to a half price book store. I went in and looked at what John Eldredge books they had. Walking with God: How to Hear His Voice was what I chose and I loved it, too. The way he practiced prayer was so different than anything I had ever been taught. I’m not much of a music person but during that time I tried to listen to more music. I fell in love with the song Trust In You by Lauren Daigle. (This is the album.) It became my anthem during this mini revival time. I’ve bolded the words that meant the most to me. I was singing the words “I will trust in You” BEFORE anything bad happened. I was choosing to trust Him no matter what I faced in my future. During this time, I wanted to memorize Scripture. Immediately one woman from our church came to my mind. This is going to sound so weird, but I felt like I was supposed to call her. I’m not really one for calling people up and have never been too interested in having a mentor. It’s funny, but I just had this conversation with a friend about how she really wanted to find an “older woman mentor.” I specifically told her I was not interested. But, now, I am feeling like I’m supposed to call this woman. Who you hang around with is who you’ll become. Is that how the saying goes? Show me your friends, I’ll show you your future? Anyway, I obeyed the voice and called this woman. I couldn’t even leave her a message without crying! My heart was softening and it felt good to hear and obey God. She called me back immediately, thinking she had done something terribly wrong after hearing my crying message. I told her my story and she and I began to meet at a walking trail. She challenged me in my Scripture reading, we shared our prayer requests, and quoted the Scripture we were memorizing. We walked. I worked on memorizing Psalm 103. My friends and I were continuing through the book and study guide together. My heart started awakening to the romance God was calling me to. 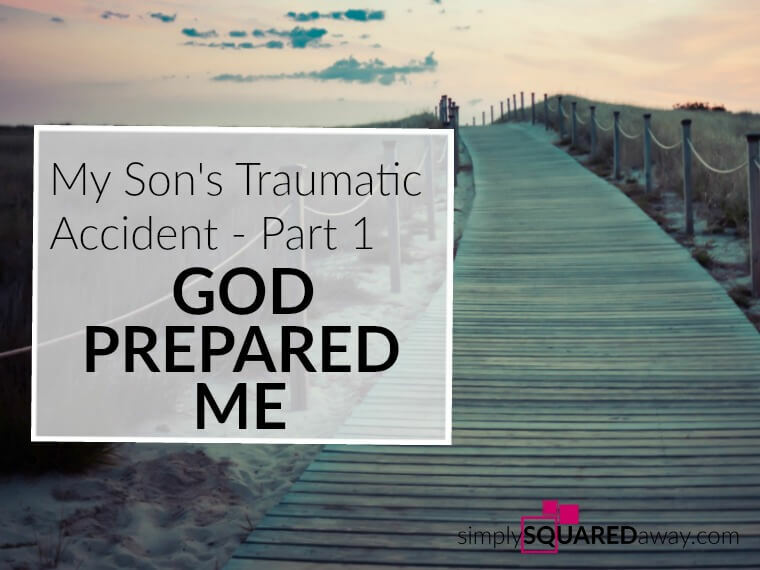 “My heart was awakened this last year to how much my Heavenly Father loves me. God pursued me, showed me a book on my own book shelf, and led me into a deeper relationship with Him. His heart towards me is GOOD. So, Lord, I give 2016 to you. 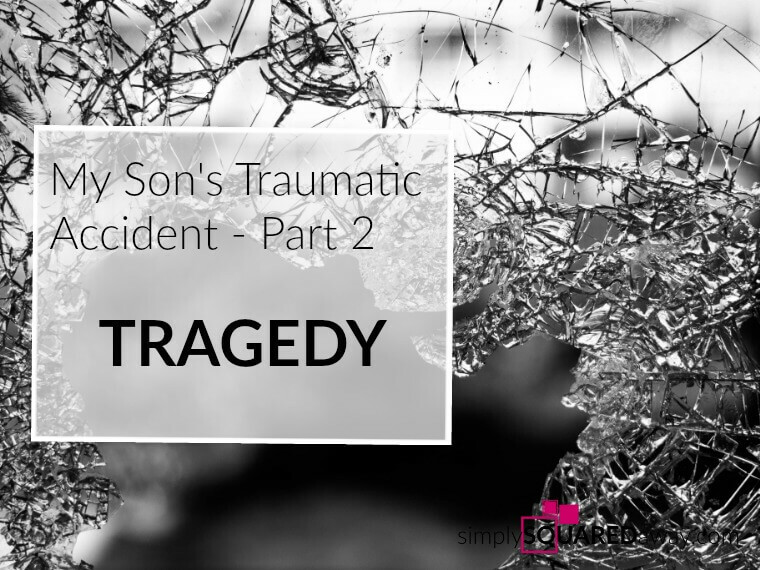 Read…My Son’s Traumatic Accident – Part 2: Tragedy. Dearest Tracy, You know me well, and you know that I am not a Christian. I am a Jew. That said, I know Hashem (the Jew’s name for God) pursues me every day, even when I resist, even when my brain is absorbed in something more trivial. I know that if I am willing to hear His voice, which is usually a call to perform a kindness to others or to be a more optimistic person, my life will be better. So thankful He pursues us. Yes, it is our willingness. Love you! Tracy, I don’t know why you suddenly popped up on my Facebook feed yesterday, but I’ve been thinking about you and your family since then, and now am blessed to read this part of your journey. Can’t wait for part two! I’ve moved to Virginia to be near my family, and think of you often as I stare at the still-full boxes and empty kitchen cabinets, wishing I could call you to rescue me as you did after my car accident in 2013! I love this, Tracy. I remember you coming to my house frequently at that time. And I remember you telling me God was pursuing you and you were feeling closer to him. You are an incredible inspiration! Thank you. 🙂 Miss you and your family, Lisa! I am praying for you right now, Elleyah. Keep seeking the Lord and He will guide you. Uplifting music can encourage you during hard times, too. Blessings on your life.